I had not been trading with much success for 2010 until the end of February. I was not losing money but I would just manage to give back anything I made. Shorts just never traded lower within my timeframe or risk tolerance and longs were choppy and difficult. Such is the life of an active trader in rangebound action. Yet, Apple's breakout at the end of February signaled a distinct change. I want to relive the action to get it in the record books and to talk about some of my success and why it worked. I hope to learn from this time so that next time around, I have more confidence, take larger size and hold for larger moves. Apple started the move higher by breaking back over the psychological $200 level on February 25th. Interestingly, this was dependent on a news catalyst that was false. Rumors circulated the desks that Apple was going to split its stock 4-for-1 and shares jumped $2. These rumors were disproved but the interest was generated. CNBC jumped on board and investors began debating what Steve Jobs can do with the $40 billion in cash on AAPL's balance sheet. Jobs stated that a dividend or share buyback was not in the cards, that he was looking to do some aggressive acquisitions. Shares rallied another $2 into the close that day. I traded this stock long intraday but didn't hold anything not entirely trusting the move. Yet, Apple proved that it still leads this market and has been the best long of the high beta names (ignoring BIDU which is in its own world). Next came Amazon. 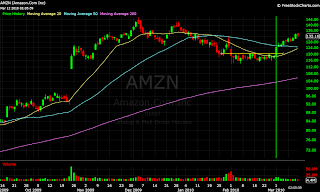 I had been short a feeler position for most of February believing AMZN was forming a classic bear flag pattern and eyeing a move into its earnings gap on the downside. Yet, every move lower was met with buying and shares simply would not drop. The breakout through $200 in AAPL changed my mind in AMZN and I flipped, covering my position and putting on a feeler long. This proved to be a wise decision as March started with a bang and I was able to add to AMZN through the technical breakout level at $120. 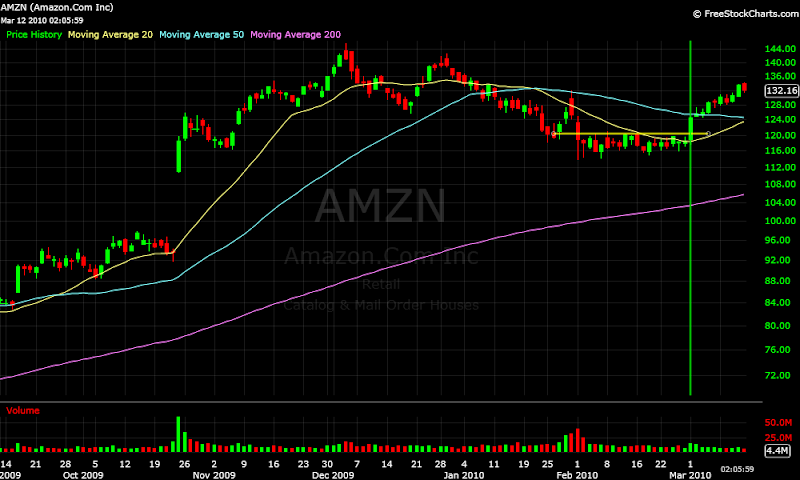 I believed AMZN would go to $130 but took profits around $125 and sold the last of the position at $127. Goldman Sachs was the next to wake up as financials joined the rally. I completely missed the first day for GS. I argued with colleagues that I did not believe it would go referencing upside tails over the weeks before that signaled weakness to me. Boy, was I wrong! 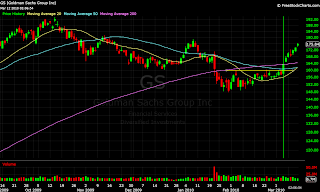 GS exploded through the $160 technical level and closed the day up over 5 points on March 4th. The price action told me I was clearly wrong. I traded GS the next day taking a couple points out of it before selling everything before the close. Not having good prices made it very difficult for me to hold this position for a swing trade. Now the stock trades at $175 making me a piker for selling $168. 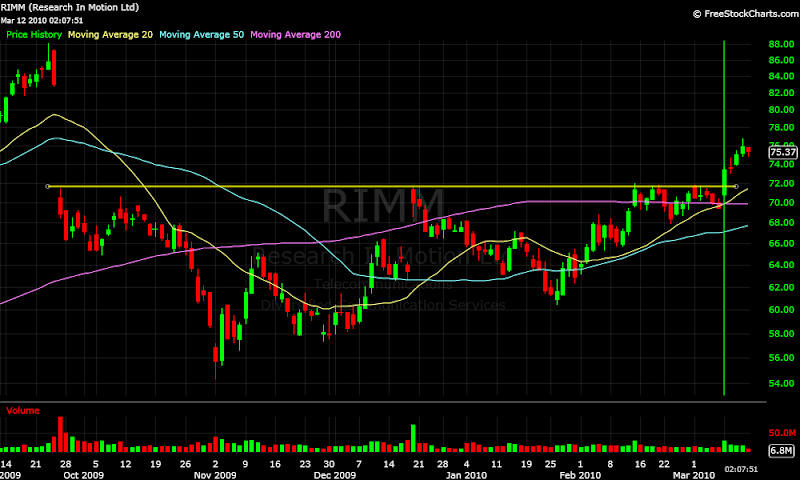 The next stock on every trader's radar was RIMM. 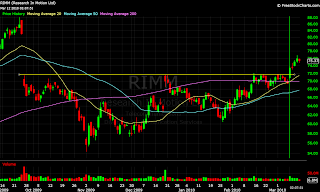 I had a long feeler position in RIMM for a couple weeks before it broke out and I began wondering whether this was the only stock that was not going to participate. This past Monday, March 8th was RIMM's turn to shine. A morning upgrade from BMO Capital provided just enough fuel for shares to power through the technical resistance level at $72. I comfortably added to my position and sold into the move. I sold the last of it today at $75.50. The last of my plays to join the party happened yesterday when the solar names popped. 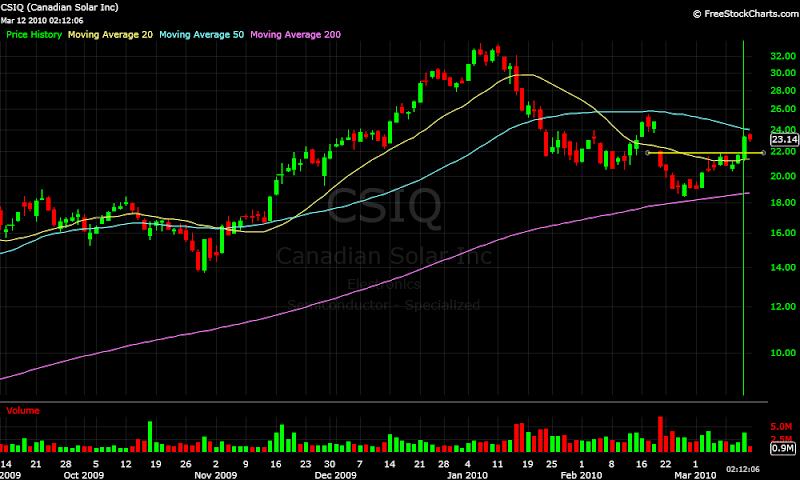 I scanned through the sector and found CSIQ to have the best looking chart. It looked to me that a move through $22 had room to rally up to $24. I took a position through $22 and sold most at the close around $23.30 and the last of it today. The point of this exercise is not to talk about any great trading on my part. I made plenty of mistakes most notably not taking enough size initially, doubting particular plays and taking profits too soon. And I only say this because I did have conviction for an upside move in the market so I would have expected more out of myself. But, I wanted to show how the rotation worked, and worked very well. Simply having names on your watchlist that were forming nice bases allowed you to spot the movers each day. Every stock acted as it should have and followed through on the subsequent days. Markets topped in the middle of January as the start of earnings season made investors jittery about holding positions. This lead to a 9% pull-in which was a tough grind for most active traders. Many, including myself, believed that the inevitable correction had begun. We were wrong. Earnings reports came in far ahead of expectations and stocks just wouldn't go down. I began to doubt the correction theme in the back of my mind even while trusting my original judgments. 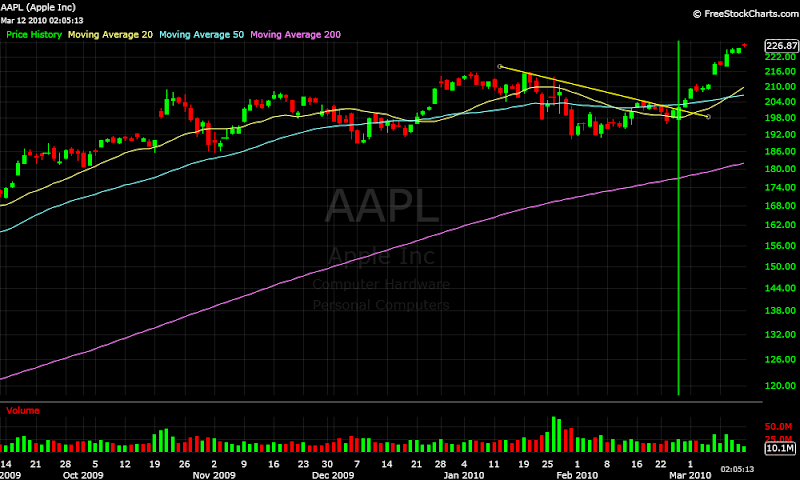 Then, AAPL rallied. I knew then that I was wrong. 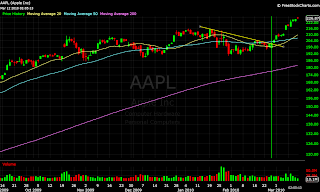 I am frustrated that I did not swing AAPL long on the 25th. I think I would have if it hadn't been a false news catalyst that jump-started the move. The fact that the news was untrue and shares had already rallied made me far too cautious. Having feeler positions in AMZN and RIMM was the best thing I could have done. I watched them both for nearly a month waiting for a trade to setup. In AMZN, the inability for my short feeler to work convinced me the long would work and in RIMM I just thought it was only a matter of time before $72 would be overtaken. 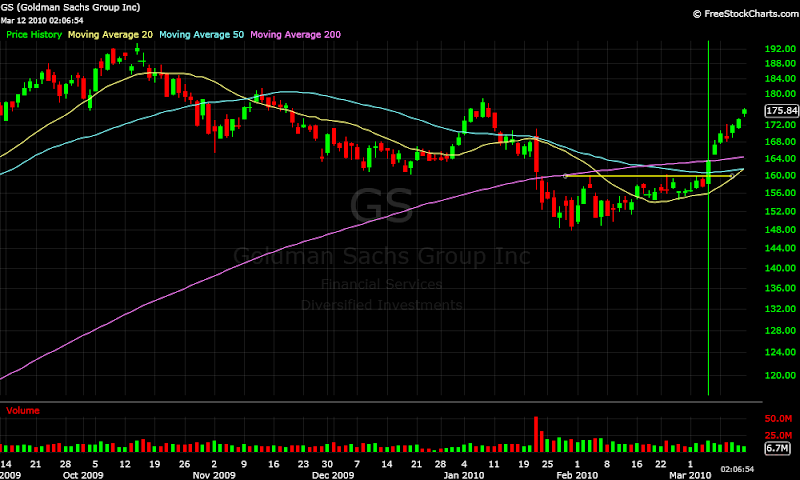 I doubted GS because the chart seemed so bearish. Funny thing is, the more bearish the chart, the better the rallies in many stocks. MA and GOOG had fantastic moves after false breakdowns precisely because shorts were baited in and provided the initial squeeze to rip shares higher. I did not play either of these stocks though I wish I would have. My final trade this week was long CSIQ as the final phases of a rally eventually pull up even the worst of stocks. 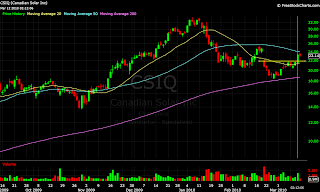 CSIQ is not necessarily one of those names but the solar sector had not participated. 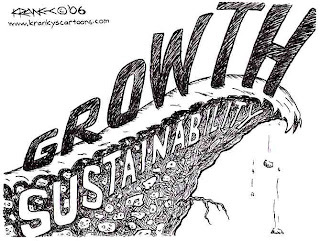 Finally, over the last couple days the solar names were dragged up by the bottom-fishing crowd. I don't know what will happen next week but I was able to put myself back on track over the last two weeks. The strong upswing after the correction was a very profitable couple weeks for many active traders. The difficult part is recognizing it ahead of time, positioning yourself well and then actually letting the move play out. Looking back, we can see that we should have trusted the leader of the market. Even if you had missed AAPL, there were plenty more stocks to play. Creating a watchlist on pull-ins of stocks that refuse to continue downward will put you in the right place if and when markets turn around. Watching those stocks closely will allow you to time the technical entry correctly and trade with the momentum.